Should I Buy a Honda Jazz, Hyundai i30, Kia Rio or Kia Cerato? — Auto Expert by John Cadogan - save thousands on your next new car! Should I Buy a Honda Jazz, Hyundai i30, Kia Rio or Kia Cerato? I own a 2005 Honda Jazz and I want to update. Can you recommend some cars similar to the Jazz that I could investigate? I suggest you go for a drive in a Kia Rio SLi or SLS - a great little car, philosophically cut from the same cloth as the Jazz, only more modern. 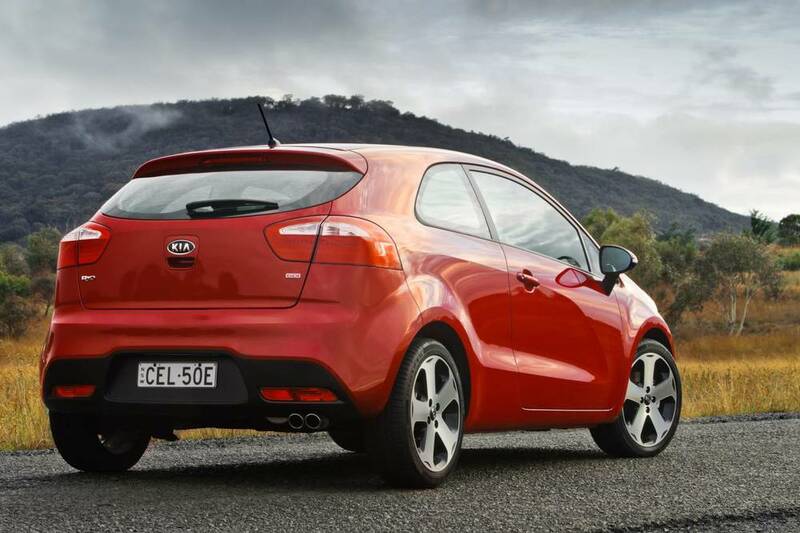 With the Kia Rio, you really want to focus on the 1.6-litre variants. Specifically this means steer clear of the Kia Rio S and the Kia Rio SE (these come with the 1.4-litre engines (79kW @ 6300rpm and 135Nm @ 4200rpm). The Kia Rio Si, Kia Rio SLi and Kia Rio SLS come with a 1.6-litre engine with 30 per cent more power and 24 per cent more torque, which translates to a far more civilised, capable, rewarding and refined package to drive. If you are in the market for an automatic, it is even more important to buy the Kia Rio Si, Kia Rio SLi or Kia Rio SLS - these come with a brilliant and refined six-speed auto, whereas the Kia Rio S and Kia Rio SE come with a comparatively clunky and outdated four-speed auto. Kia has just introduced a seven-year warranty with unlimited kilometres, which is the best in the country. This is a real asset for you as a long-term vehicle owner, and also offers benefits on the resale value front. While you are there, look at a Kia Cerato as well - a nice capable car the next size up in the range. Check out the Hyundai i30 as well, which is similar to the Cerato in many ways, but a better overall package. The SR has a brilliant direct injection engine and superb suspension tuning done here in Australia, for Australian conditions. There is a five-year warranty with unlimited kilometres on all Hyundais. Unfortunately Honda dropped the ball in about 2008, and it has been a basket case since. The global financial crisis just smashed Honda, and the subsequent tsunami disaster in Japan hurt Honda significantly as well. For this reason, and the knock-on effect on Honda's R&D, I currently rate Honda as a 'don't buy' proposition. In time the company will doubtless recover its substantial lost ground, but this will take some time. and a new generation of cars. John, I took your advice and I really like the Hyundai I30 trophy (now called the Hyundai i30 SE) - very nice. Love the leather seats. Plus once per year service cost of $219 and seven-year cover with NRMA and best of all a REAL (ie full size) tyre for the spare. They are quoting a price of $22,990 with an extra $2000 to have GPS sat-nav installed. Can I have that installed independently cheaper? And is that a good price for the car? Thanks for the advice so far. Regards, Cherie. I am glad you're happy with your choice. I guess we now need to go about buying it as efficiently as possible. To this end, let me get Ben from the brokerage to call you today. Ben Is an expert in this area and he can help you achieve the best price. You can certainly get the sat-nav fitted independently. This will probably cost you a lot less than $2000. Should I Buy a Volvo XC60 or Hyundai Santa Fe?